Gary Day is Principal Lecturer in English at De Montfort University. His books include Re-Reading Leavis: Culture and Literary Criticism (1996), Class (2001), Literary Criticism: A New History (2008), and Modernist Literature 1890–1950 (2010). Jack Lynch is Professor of English at Rutgers University, Newark. 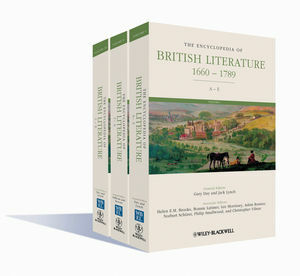 His books includeThe Age of Elizabeth in the Age of Johnson (2003) and Deception and Detection in Eighteenth-Century Britain (2008).